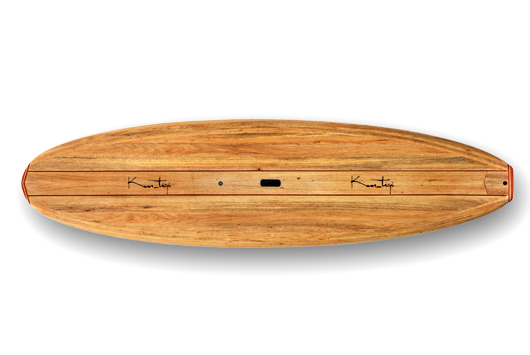 To get more “water time”, no matter if on lakes, rivers or the sea, we created this Wooden Stand Up Paddle Surfboard. 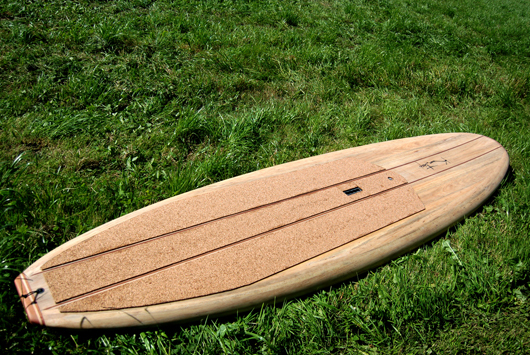 Our Wooden SUP is designed for cruising on flat water and paddle tours. But if a small wave crosses your way, don’t hesitate so surf it! 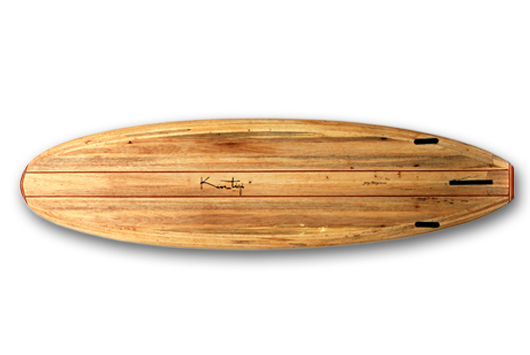 The Kun_tiqi SUP is built of Balsa wood in a hollow construction and is the lightest wooden SUP on the market. Two hard wood stringers and tail and nose reinforcements give it extraordinary durability and strength. The SUP comes with with a central finbox and two Future sidefinboxes for good stability. Additionally, there is a vented leash plug, a handle and an extra vent integrated. Wooden paddles are made on demand by hand.